pizza box, bakery box, gift box and on other folded boxes. 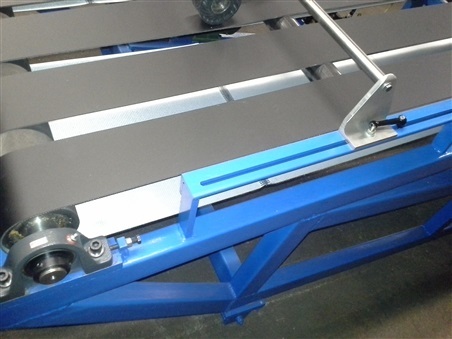 Our custom folding box printing machine is a two-color, flexographic printing sheeter. It can print on clay, A, B flute corrugated board up to 100 sheets per min. Maximum printing–45” x 30” repeat; minimum 7-1/4". Setup time is 5 to 7 min with a very small misprint. Only requires one-man operation. Compact size – O.A.D. 70” W x 90” L [no stacker] x 40” H. Total 8 H.P. 5 electric motors. Requires air supply and vacuum. 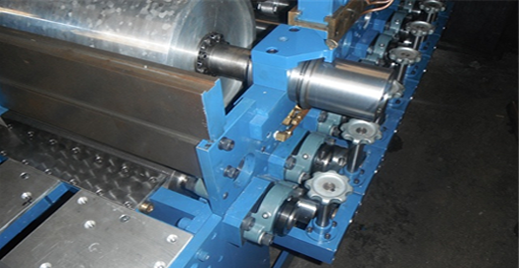 Our paper bag printing machine is fully automatic. Inserting bags with vacuum suction cups to transfer rollers. Running bags with handles. 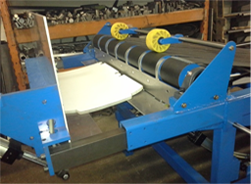 This same machine can run paper or plastic bags up to 90 bags per minute. 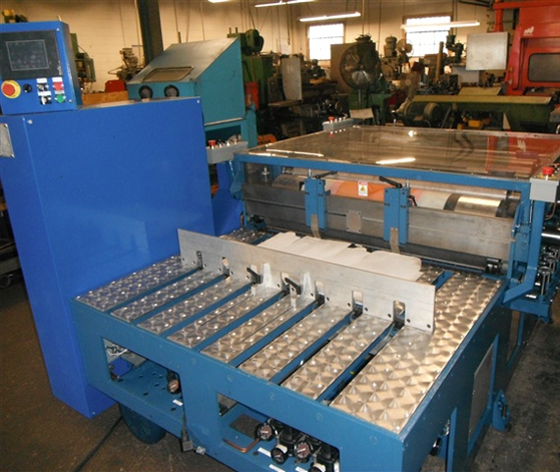 This machine can be custom manufactured as a 1,2 or 3 color machine. 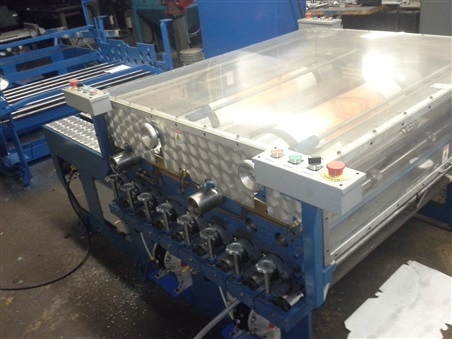 Our new folding box printing machine is a three-color, flexographic printing sheeter. Setup time is 7 to 10 min with a very small misprint. Only requires one-man operation. Compact size – O.A.D. 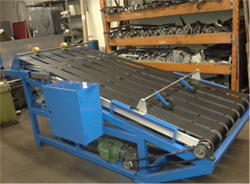 70” W x 130” L [with stacker] x 70” H. Total 13 H.P. 8 electric motors. Requires air supply and vacuum. Printing, Packaging and Paper Converting. 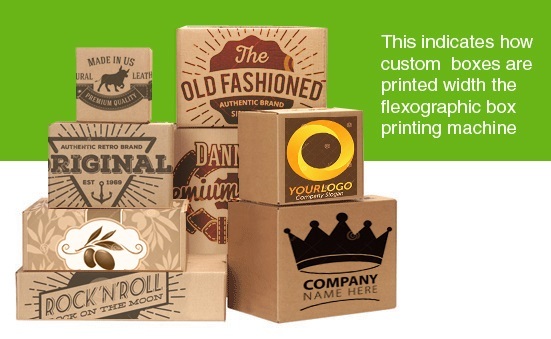 Learn more about our flexographic box printing machines. Power Transmission Supplies, Inc. manufactures machinery for a variety of industries. Among our innovations is the new efficient flexographic pizza box printing machine with a built-in sheeter that's also ideal for bakery box printing and printing on other folded boxes. Power Transmission supplies also rebuilds old printing presses, paper converting equipment, packaging lines and much more. As part of the rebuilding process, we upgrade all essential components—mechanical and electrical. We here at Power Transmission Supplies, Inc. are determined to do everything in our power to serve our customers and improve the efficiency of nation's manufacturing industry using the most effective technology available. Our facility and equipment are continuously updated. We embrace new technology as it drives us toward higher levels of service. We pledge our loyalty, commitment and confidentiality to our customers. No job is too small or too big.